Hi, I'm Dr. Charles Luke, CEO/Owner of TPDS Consulting and the Executive Director for Tarrant County Spiritual Care Network. Dr. Charles Luke has over 30 years of experience in churches, non-profit and public education organizations. He is an ordained minister and former school superintendent and holds an Ed.D. in Educational Administration from the University of North Texas. 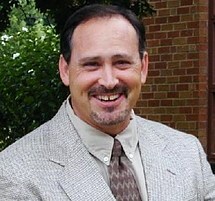 Charles has been a pastor, teacher, principal, superintendent, and has taught university courses at the graduate level. In addition to this, Charles has held C-Level positions in both public and non-profit organizations. Provide ongoing spiritual care and support for the leadership, staff and clients of Tarrant County, Texas non-profit organizations. Help connect clients to communities of faith to extend the continuum of care. Provide ongoing executive management and marketing services for a variety of client bases encompassing the fields of education, non-profit, technology, oil and gas services, and compliance. Served in various paid and non-paid positions over a nine-year period. Responsibilities included the establishment of governance and long/short term goals. During employment with the firm responsibilities included oversight and development of a number of programs and assisting the CEO/Board with the development of corporate strategy. Served in three separate roles with increasing levels of responsibility over a period of fifteen years. As a school superintendent I was responsible for the oversight of educational, financial, human resource,transportation, information technology and all other functions for three separate school districts ranging from a staff of 39 and a $1.7 million budget to a staff of 462 with a $21 million budget. Principal duties included oversight of all instructional, academic and personnel functions of two campuses.